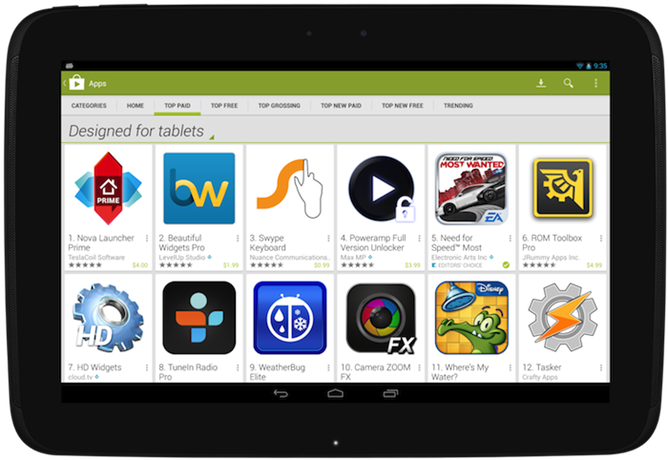 It has traditionally been hard to find properly optimized tablet apps on Android. At first it was simply because there weren't any, but increasingly the problem is visibility. 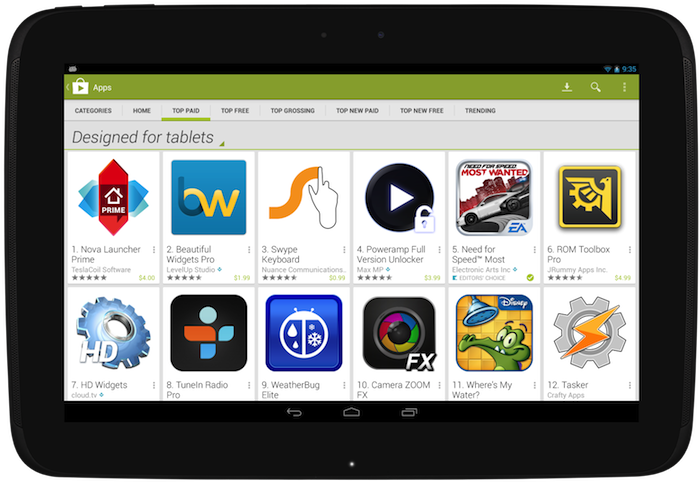 Google is aiming to change that with some new tablet-specific tweaks to the on-device Play Store app. Not only will tablet users see more tablet apps, but they'll be able to tell which apps are designed for larger screens. 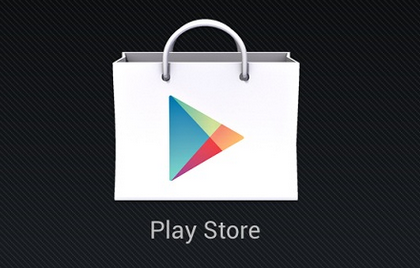 The first of two changes affects the top lists in the Play Store app. That means the Top Paid, Top Free, Top Grossing, Top New Paid, Top New Free, and Trending. These lists will now default to showing apps that meet Google's tablet design guidelines. The "Designed for tablets" view is only a suggestion, though. Users can still switch over to see all apps. The other change will make it easier to tell if the app you're looking at has been developed with tablets in mind. Any app or game that isn't up to snuff will get a "Designed for phones" label slapped on it. You'll still be able to view and install anything, but you'll have an idea if the app has met some basic requirements. Keep in mind Google isn't reviewing each app manually to make sure it's #HOLOYOLO. This is an automated process that checks apps for things like API version, screen size support, and the presence of tablet screenshots. Even this limited app tagging system should make tablet apps a bit easier to find in Google Play. The changes roll out November 21, so developers still have time to get their apps in order.